I’m digging through my shelves, reading children’s books that I never got to when my children were, you know, children. One of them is Marjorie Braymer’s biography of Heinrich Schliemann, The Walls of Windy Troy . This is a story of the rewards and risks of being an autodidact (self-taught scholar). 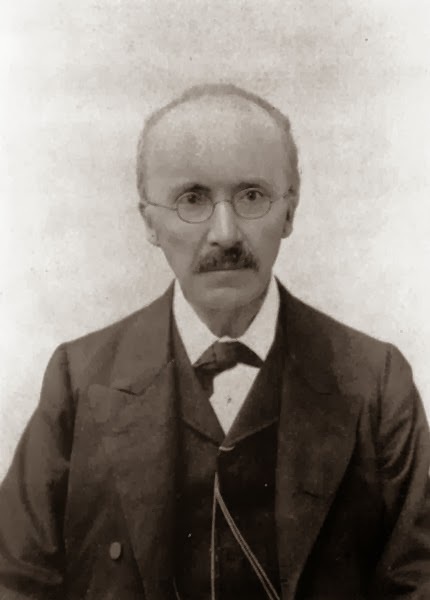 Schliemann, the son of a German pastor, was nineteen, injured and destitute. He embarked on a ship to Venezuela, survived a shipwreck, and landed in Amsterdam. Ever since he first heard Homer—music with the cadence and swing of the sea in it, language like the beat of armies surging across grassy plains—he was fired up with a burning desire: to find Troy. When told that Troy wasn’t real, just a story, his resolve hardened. He needed to make money to fulfill his dream. To be a master of men, one has to master their languages. He picked up Dutch by immersion in the culture, then taught himself Spanish, English, French and Russian. When he struggled with Russian, he made progress by hiring a Dutch student (who knew no Russian) to listen to him read. That busts me up, but he actually learned enough Russian to move to and work in St. Petersburg. He wanted above all to learn classical Greek, but disciplined himself to learn languages that helped him in business first. After he garnered Greek, he added Italian, Portuguese, Swedish, Polish, Arabic and Turkish. That accomplishment is dizzying! His wealth and international prestige grew to the point that he could travel to Turkey and start digging. Believing in the exactness of Homer’s word, Schliemann chose to ignore received wisdom and broke ground at a site he felt more closely matched Homer’s words. And, lo, he made epoch discoveries. Did he discover Troy? It’s hard to say. He found layers of civilizations. Initially he made sweeping claims. 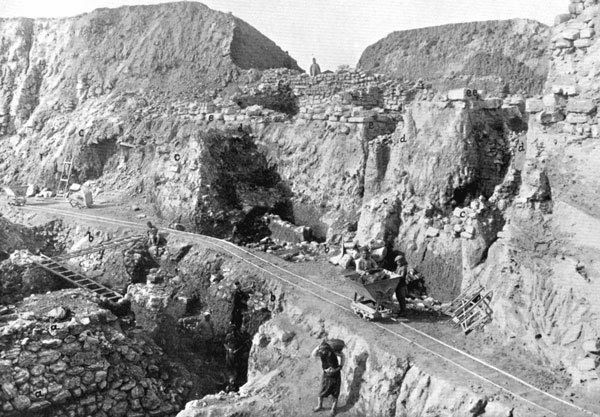 The science of archeology hadn’t yet been developed; Schliemann’s work destroyed some valuable layers as he dug deeper for Troy. There was not an established protocol for the ownership of the artifacts dug up. He had to learn humility by acknowledging his own errors and asking for help from other scholars. Clearly, his work has added to our knowledge of ancient cultures. As with any good mystery, I immediately wanted to re-read Tamar to look for clues and to see the significance which I missed in the first reading. 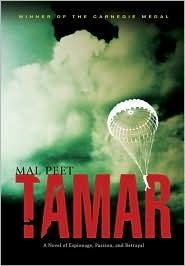 The 1944-1945 story of two spies for the Dutch resistance, code named Tamar and Dart, is interwoven with the life of a young woman—named Tamar—in 1995 London, attempting to learn her Grandad’s and Gran’s shrouded personal history. It is hard to write about the narrative without a spoiler. The espionage parts are intense; my muscles tensed while reading them. The nighttime ambush of Nazi SS Lieutenant General Rauter and retaliatory executions is true. The teenaged Tamar finally connects with Grandad through algebra and crossword puzzles. Grandad taught me that the alien signs and symbols of algebraic equations were not just marks on the paper. They were not flat. They were three-dimensional, and you could approach them from different directions, look at them from different angles, stand them on their heads. You could take them apart, and put them together in a variety of shapes, like Lego. I stopped being afraid of them. I discovered that Grandad’s world was full of mirages and mazes, of mirrors and misleading signs. He was fascinated by riddles and codes and conundrums and labyrinths, by the origin of place names, by grammar, by slang, by jokes—although he never laughed at them—by anything that might mean something else. He taught me that language was rubbery, plastic. It wasn’t, as I’d thought, something you just use, but something you can play with. Words were made up of little bits that could be shuffled, turned back to front, remixed. They could be tucked and folded into other words to produce unexpected things. It was like cookery, like alchemy. Language hid more than it revealed. I’m not an expert in Young Adult fiction, but I question that slot for this book. It tilts strongly adult and not so much young. I have some other quibbles, but to bring them up here would spoil things. Reading this fiction made me want to read Leo Mark’s non-fiction Between Silk and Cyanide, a book waiting patiently on my TBR shelf. I was delighted the Mal Peet acknowledged this title as very helpful in his research. I wanted to read this book after reading Sherry’s review at Semicolon. 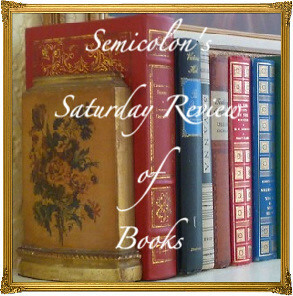 Her Saturday Review of Books is a primary source of good reading!